Evansville’s 395 million dollar budget for 2019 is said to meet the needs of the city while investing in quality of place and life projects. Key capital projects include nearly 2 million dollars for public safety, more than 6 million for infrastructure, another 2 million for quality of life. But the money to improve water and sewer utility, totaling nearly 124 million dollars. many say is a must-do project. 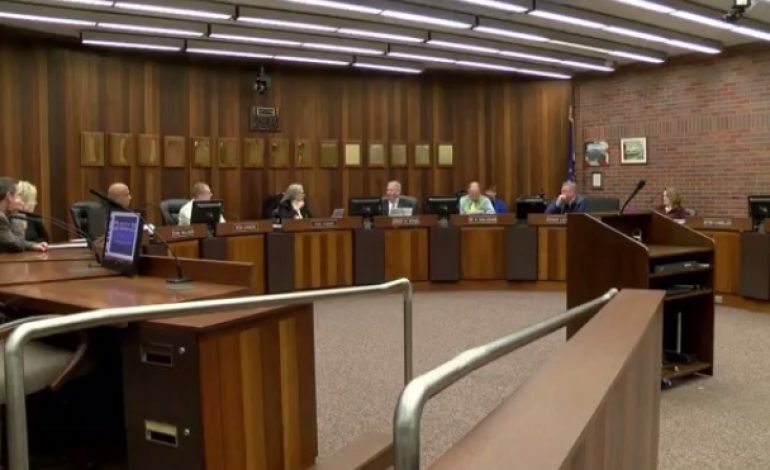 “It’s about a million eight per mile but again we have about a thousand miles of water line in the city much of it very, very old and it needs to be replaced,” says Evansville Mayor Lloyd Winnecke. Officials say a balanced budget is most important while continuing to improve the quality of life for Evansville residents. “We really work diligently to manage operating budgets in an era where growth and property tax revenue, that is the really kind of the life blood for the governments has really slowed not just here but across Indiana,” says Winnecke. A proposal to continue the demolition of abandoned homes through blight elimination would cost nearly 2 million dollars, as well as nearly 5 million for road projects, and a snow removal truck. A 2 percent raise is proposed for city workers. And police and first responders could also see more equipment. “We want to fund 20 new vehicles for the police department, new safety vests. We also need to replace a fire pumper truck engine one,” says Winnecke. The city is already in the design stages for the new penguin exhibit allocating 460-thousand dollars for the project which will be near the LST when it is relocated. “I don’t think the LST will probably be down there until probably 2020,” says Evansville city council member Johnathan Weaver. The city council will continue discussing public safety tomorrow. Budget amendments is scheduled for September 10th.